In the wake of the Parkland, Florida school shooting that killed 17 people, President Trump and the National Rifle Association have suggested a proposal to arm teachers in order to protect their students against another tragedy. While meeting with survivors at the White House on February 21, Trump floated the idea of arming teachers and school staff. “If you had a teacher who was adept with the firearm, they could end the attack very quickly,” he said, stating that schools could arm up to 20% of their teachers. Since his initial statement, Trump seemingly reversed his stance, and then reiterated support for it once again. There has been significant pushback against the idea. 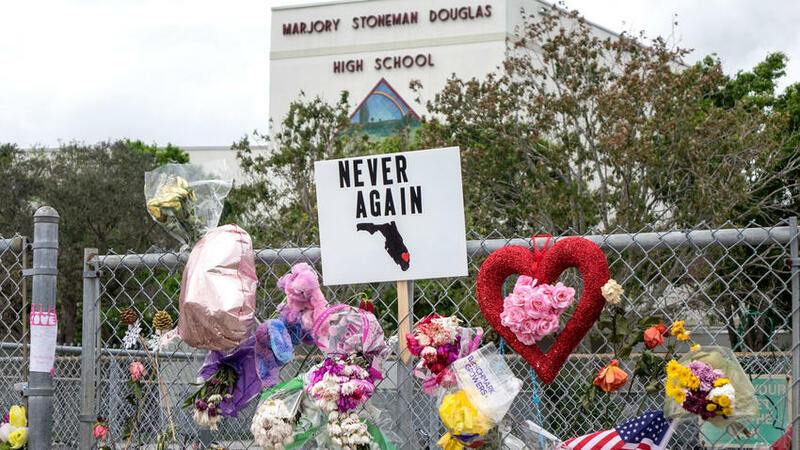 Law enforcement groups and teacher organizations have expressed opposition, and it has been singled out as a politically-motivated distraction on the part of the NRA. We want to know what our members think about this issue. The more feedback we receive, the more we can advocate on behalf of educators nationwide. 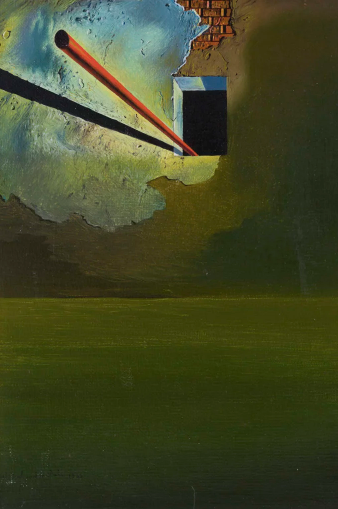 Salvator Dalí, Untitled, 1932. Courtesy of Heather James Fine Art New York. Each week CAA News summarizes articles, published around the web, that CAA members may find interesting and useful in their professional and creative lives. Beginning March 1, 2018, CAA members are invited to submit the following proposals for review to the 2019 CAA Annual Conference Committee: Complete Sessions, Sessions Soliciting Contributors, and Individual Paper/Project proposals. Submissions that cover the breadth of current thought and research in art and art practice, art and architectural history, theory and criticism, studio art, pedagogical issues, museum and curatorial practice, conservation, design, new media, and developments in technology are encouraged. The submissions portal closed on April 27, 2018. The organizer proposes a session title and abstract that will require a call for participation. The list of accepted Sessions Soliciting Contributors will be posted on the CAA website in late June or early July, 2018. Session organizers select papers and projects based on their own requirements. See CAA 2019 Call for Participation section below for more information. Please note: To submit a proposal, individuals must be current CAA members. All session participants, including presenters, chairs, moderators, and discussants, must also be current individual CAA members. Please have your CAA Member ID handy as well as the member IDs of any and all participants as this is a required field on the submission form. Please note that institutional member IDs cannot be used to submit proposals. If you are not a current individual member, please renew your membership or join CAA. The Annual Conference Committee members review over 800 submissions each year. They take into account subject areas and themes that arise from accepted proposals to present as a broad and diverse a program as possible. 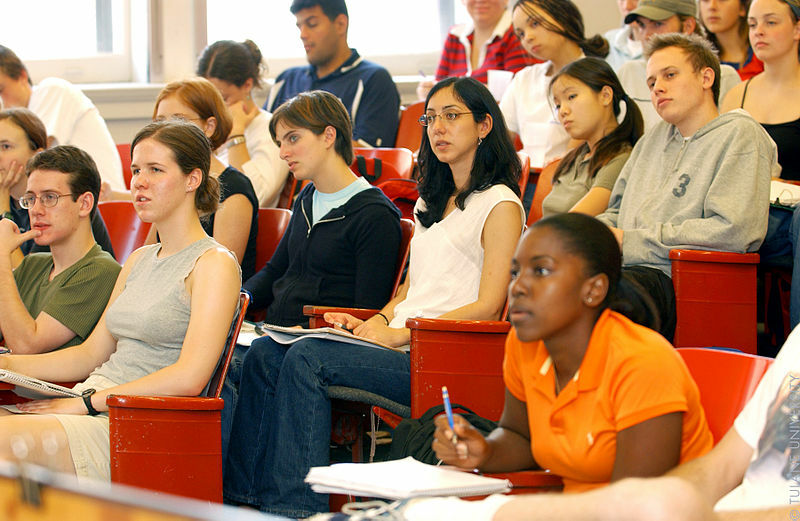 The Committee selects between 250-300 sessions for each conference and it must, at times, make difficult decisions on submissions of high merit. CAA Affiliated Societies and CAA Committees may each submit for one guaranteed session in the Complete Session or Session Soliciting Contributors category according to the general session proposal deadlines. Visit Affiliated Society membership for more information on participating in the CAA Annual Conference. Please follow the Chicago Manual of Style for your submission. The accuracy of information in the submission is important as, if selected, it will be transferred to the conference program, abstracts booklet, website, etc., exactly as written. 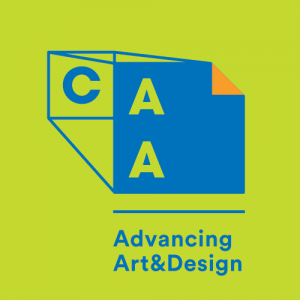 CAA invites proposal submissions for Poster Sessions at the CAA 2019 Annual Conference. Poster Sessions offer excellent opportunities for informal discussion and conversation focused on topics of scholarly or pedagogical research. Proposals require a description of the project (up to 250 words), with a title and member CV. Registered exhibitor at the 2019 conference are welcome to propose full sessions or workshops (ninety minutes in length) for inclusion in the full-conference program. These sessions should convey practical information, professional expertise, or historical/scholarly content and may not be used for direct marketing, sales or promotion of products, publications, or services or programs. The CAA 2019 Call for Participation (CFP) for accepted Sessions Soliciting Contributors will be posted on the CAA Annual Conference website on June 29, 2018. Submissions will be accepted for review through August 6, 2018. Beginning June 29th, 2018, single paper or project submissions in response to the CFP should be sent directly to the session chair(s)—if there is more than one session chair, send materials to both chairs. Proposals should include a proposal form (found at the end of the CFP), an abstract of your presentation, a cover letter to chair(s), a shortened CV, and work documentation (if necessary). Q: Do I have to be a CAA member to submit a proposal? A: All conference participants (presenters, chairs, discussants) must be CAA members to participate in the annual conference. A CAA member ID number will be requested for all conference participants in the online submission form. However, if you do not have all CAA ID numbers available for participants, you may enter them when you obtain them. If you are not a member of CAA at the time you submit the proposal, you will not be prevented from submitting. You may work on the submission in stages until the proposal deadline. Q: Is CAA membership required to participate on a CAA session? A: Yes, ALL session participants (presenters, chairs, discussants) must be members of CAA in order to participate in vetted conference sessions. Q: Is CAA membership required to participate on an Affiliated Society guaranteed session? A: Yes, all session participants (presenters, chairs, discussants) must be members of CAA in order to participate in guaranteed Affiliated Society sessions. Q: Can someone who is not a CAA member participate in a panel? A: We require all conference session participants to be CAA individual members. 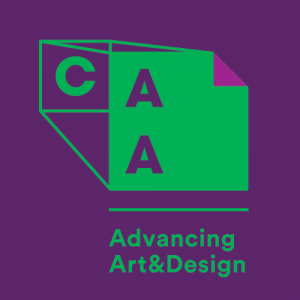 A: All CAA 2019 sessions are ninety minutes in length. Please plan either session or paper/project presentations accordingly. Q: How many people should be on a panel? A: For a traditional ninety-minute session, we suggest one chair, four participants, and one discussant. This format allows introductions, fifteen-minute presentations, and Q&A. CAA encourages innovative session formats but all session participants must plan accordingly. Q: How many ways can I participate in conference sessions? A: To allow a greater number of CAA members to participate in the conference, CAA members can participate in the following roles only once during a conference: chair, presenter, discussant. They can serve in all three roles, but cannot perform any of these roles more than once. For example, they can serve as chair and present in one session, and serve as discussant at another session, but cannot present twice. Q: Can I attend the session for free if I am presenting on that session? A: While you cannot attend a session for free, even for the one you are presenting in, we do offer a number of conference registration options including full registration, day passes, and single session time slot tickets. Q: Can I plan something other than a traditional panel? A: YES! Feedback from our attendees reveals that they want to take in information and learn in formats other than several people sitting at table in front of a session room. They very much want more interaction with panel participants. We strongly encourage you to think about presenting your content in a manner other than the traditional panel format. While planning your session, you are reminded that we cannot deviate from the ninety-minute time limitation. Q: Can I have a two-part session? A: The Annual Conference Committee aims to include as many contributors as possible reflecting the range of scholarship and expertise. In the submission process, please make the request and the committee will evaluate this based on the number of subject areas received as well as the logistical possibilities. Q: If I am selected to participate as an individual paper/project participant how is my session arranged? A: Accepted individual paper/projects are organized by the Annual Conference Committee and the CAA staff into what is called Composed Sessions with other individual paper/projects based on subject area or compatible content. Since there is no formal chair for Composed Sessions a mentor is assigned to the group to provide guidance as needed. Sometimes participants identify one in the group to act as chair, sometimes a CAA member outside the group is asked to lead, other groups choose to go without this formal role. Q: Are there sessions that are free and open to the public? A: The mid-day time slot (12:30 – 1:30 PM) is free and open to the public. This time slot is reserved for business meetings and special conversations on hot topics for the field. There are other events throughout the conference which are also free. Check the schedule when it is posted in October for details. Please remember to check back often as the schedule is updated as the conference approaches. For more information about session proposals for the 2019 Annual Conference, please contact Mira Friedlaender, CAA manager of programs, at 212-392-4405 or Tiffany Dugan, CAA director of programs and publications, at 212-392-4410. As we look to build CAA in the future, with new and energized staff, new programs that will assist all of us in our professional lives, we have given the organization a new look and a name more focused on how our members know us after many years of service. We unveiled our new logo, new name, and new branding colors at the 106th Annual Conference last week in Los Angeles. For decades, people have used the term “CAA” as a nickname for the Association. Many of our members feel connected to the words, College Art Association, but many others, especially new members and prospective members, feel these words don’t resonate with them. We started the renaming and rebranding process in spring of 2017 with the retention of a professional design and branding firm called Briteweb, which works exclusively with social sector organizations. This fall, as part of the research process, CAA and Briteweb held workshops, surveyed the current and past membership, and conducted interviews with long-standing and new members, as well as other arts professionals. Nearly 1,500 members and members of the wider CAA community contributed to surveys and questionnaires about a new name and mark for the organization. As part of the process, we not only looked internally at our own membership but also at the marks of similar societies and organizations. To shepherd the process, CAA established a Branding Subcommittee, which reviewed and synthesized all of the ideas coming from membership and from Briteweb. Last December we reached the first major milestone in the renaming and rebranding process. 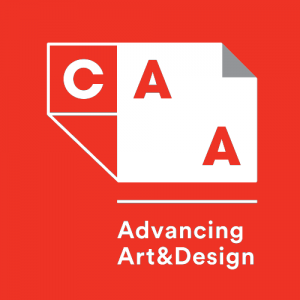 The Board, informed by member feedback, unanimously voted to simply call the organization CAA and to add a tagline ADVANCING ART & DESIGN to be used in coordination with the three letters. Then we built a new logo. We built the new logo by thinking about the field, about our collective passions and interests, and the work we work we do every day. We narrowed down to two core components: the frame and the page. We used these symbols of the lives and work of our members as the building blocks of the new visual identity. They represent what we study, what we teach, what we practice, and what we create. We spend endless hours looking at, thinking about, writing about and reading about art. We also wanted the idea of flexibility to be part of CAA’s new identity so we’ve adopted a logo system that can change as we do and as the field does. And the color palette was, of course, very important to us. We wanted to inject vibrancy and lots of color into our new logo system. But change is more than a logo. This is about a shift in how we work to assist everyone in the field. A new look necessitates action. This is about more opportunities to present papers at the conference. This is about more opportunities to publish articles. It’s about more opportunities to network with colleagues. It’s about more opportunities to advocate for the field. It’s about beginning to think seriously about attracting otherwise marginalized communities to be part of the field. This is the future of CAA. 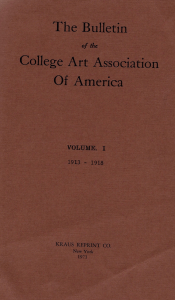 From its inception, the College Art Association understood the importance of its name. 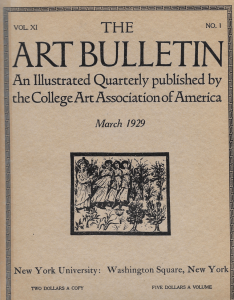 Publications like The Art Bulletin (founded in 1913) and Art Journal (founded in 1941) have proudly touted the name of the organization. But formal branding and styling did not arrive until the 1950s when a modernist approach was adopted. 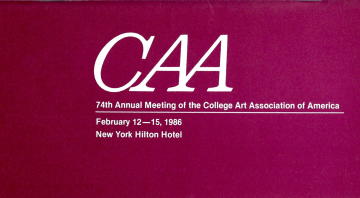 It was not until decades later, in the 1980s, that an official CAA logo took shape. The CAA logo of the 1980’s angled forward in all capital letters and had conjoined A’s. In 2012, the CAA logo many know was born. The new CAA logo dropped its height to use lowercase letters in a sans-serif font that was overlaid with swooping and intersecting lines. For years, discussion has brewed among the CAA board of directors and members about a name change and new branding for the organization. The decision was formally written into the 2015-2020 CAA Strategic Plan. In spring 2017, work officially began. CAA issued an RFP for the redesign and renaming of the 107-year old organization. The firm Briteweb, which specializes in branding for the social sector, was chosen as the best fit from eight other firms. Feedback. Feedback. Feedback. The first step on the path to renaming the College Art Association (CAA) was gathering feedback from our members and stakeholders. A survey went out to all members, current and lapsed. Phone calls and interviews took place with stakeholders and board members. We learned a lot. Feedback we received from our members told us how CAA matters to them, where we can improve, and where we should focus our energy as we move into the future. Members told us that CAA has to move forward. You told us that we have to be there for the next generations of students and scholars in the arts and humanities. We have to advance the field by supporting the field. Our tagline was born. We also learned that there was immeasurable value packed into three letters—CAA. We explored different acronyms, new names, and different words to fit CAA. But in the end, it came down to the letters CAA being the sole representation of the organization as it moves into the future, stepping up a role they have already played for decades. With our name settled, it was time to design. What does advancing mean visually? How can we encompass the many professions and personalities of our membership in a visual representation? Rounds of designs were reviewed. We wanted risk, but not too risky. 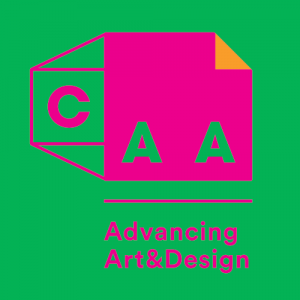 The new CAA logo includes nods to the frame and page, two crucial elements of our members’ lives. It has dimensionality and flexibility. Just like our members. This week, Chris Ireland, associate professor of art and art appreciation instructor at Tarleton State University in Texas, and Charles Siegfried, adjunct professor at Clackamas Community College & Portland State University, discuss teaching Introduction to Art to non-majors. Ellen Handy writes about Indecent Exposures: Eadweard Muybridge’s “Animal Locomotion” Nudes by Sarah Gordon. Read the full review at caa.reviews. 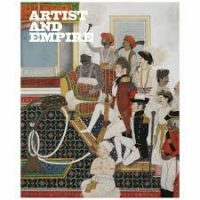 Alice Correia reviews Artist and Empire: Facing Britain’s Imperial Past, edited by Alison Smith, David Blayney Brown, and Carol Jacobi. Read the full review at caa.reviews. 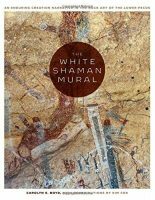 James Farmer discusses The White Shaman Mural: An Enduring Creation Narrative in the Rock Art of the Lower Pecos by Carolyn E. Boyd and Kim Cox. Read the full review at caa.reviews. Katve-Kaisa Kontturi explores Drawing Difference: Connections between Gender and Drawing by Marsha Meskimmon and Phil Sawdon. Read the full review at caa.reviews. 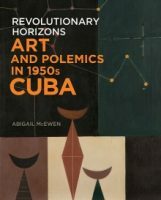 Megan Sullivan examines Revolutionary Horizons: Art and Polemics in 1950s Cuba by Abigail McEwan. Read the full review at caa.reviews. Richard Fletcher writes about Reading Cy Twombly: Poetry in Paint by Mary Jacobus. Read the full review at caa.reviews. 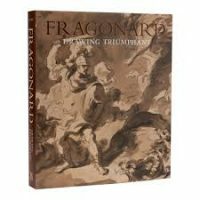 Daniella Berman reviews Fragonard: Drawing Triumphant by Perrin Stein. Read the full review at caa.reviews. Ikem Stanley Ifejika Okoye writes about Authentically African: Arts and the Transnational Politics of Congolese Culture by Sarah Van Beurden. Read the full review at caa.reviews. 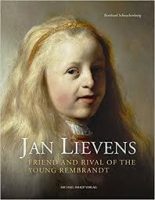 Jacquelyn Coutré explores Jan Lievens: Friend and Rival of the Young Rembrandt by Bernhard Schnackenburg. Read the full review at caa.reviews. Lauren Whitnah discusses The Cult of St Edmund in Medieval East Anglia by Rebecca Pinner. Read the full review at caa.reviews. Heather Layton examines the exhibition catalogue Meleko Mokgosi: Pax Kaffraria by Jonathan P. Binstock and Malick Gaines. Read the full review at caa.reviews. Viêt Lệ looks at the exhibition catalogue Tseng Kwong Chi: Performing for the Camera, edited by Amy Brandt. Read the full review at caa.reviews. 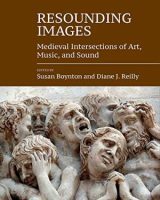 Corine Schleif reviews Resounding Images: Medieval Intersections of Art, Music, and Sound, edited by Susan Boynton and Diane J. Reilly. Read the full review at caa.reviews. 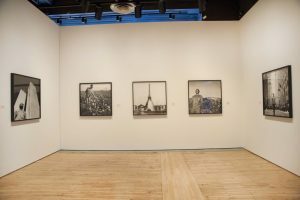 Anne Hilker writes about The City and the Young Imagination: Art from Studio in a School, an exhibition at The Museum of the City of New York. Read the full review at caa.reviews. 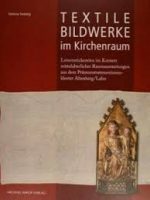 Heather McCune Bruhn explores Textile Bildwerke im Kirchenraum: Leinenstickereien im Kontext mittelalterlicher Raumausstattungen aus dem Prämonstratenserinnenkloster Altenberg/Lahn by Stefanie Seeberg. Read the full review at caa.reviews. 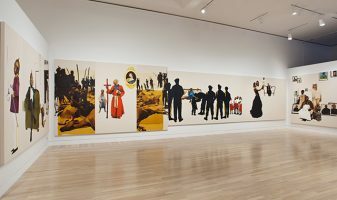 Wendy Castenell examines Painting the Gospel: Black Public Art and Religion in Chicago by Kymberly N. Pinder. Read the full review at caa.reviews. 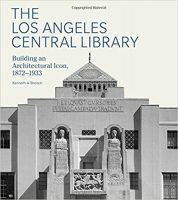 Richard Wittman reviews The Los Angeles Central Library: Building an Architectural Icon, 1872-1933 by Kenneth A. Breisch. Read the full review at caa.reviews. Danielle Joyner discusses the exhibition catalogue Art and Nature in the Middle Ages, edited by Nicole R. Myers. Read the full review at caa.reviews. Gunnar Swanson reviews The Philosophy of Design by Glenn Parsons. Read the full review at caa.reviews. Amelia Jones and David J. Getsy present Abstract Bodies and Otherwise: A Conversation with Amelia Jones and David Getsy on Gender and Sexuality in the Writing of Art History. Read the full conversation at caa.reviews. In 2013 the Social Science Research Council (SSRC) launched the Measuring College Learning (MCL) project as a way to engage faculty in the effort to understand and improve student learning in their discipline through development of better tools for assessment in higher education. CAA recently partnered with the SSRC to create an MCL-Art History panel that would outline learning objectives for introductory art history courses, including identifying essential concepts and competencies that demonstrate foundational knowledge of the discipline. The MCL-AH panel convened in July and December 2017 to produce a draft document. The MCL-Art History panel will host an open forum at the CAA Annual Conference from 2:00-3:30 PM on Friday, February 23rd in Room 511A of the Los Angeles Convention Center to collect CAA member feedback on its initial draft of core learning goals. The panel plans to share the draft document, solicit input and observations, and respond to questions from the community. CAA members are also invited to review the draft document and share observations before, during, and after the annual conference (until March 31, 2018). In MCL projects faculty and other experts come together to consider what students should learn in their majors and how that learning should be measured. Panels of experts from six disciplines participated in the first iteration: biology, business, communication, economics, history, and sociology. Several national disciplinary associations—including the American History Association, the American Sociology Association, and the National Communication Association—were actively involved in this project. 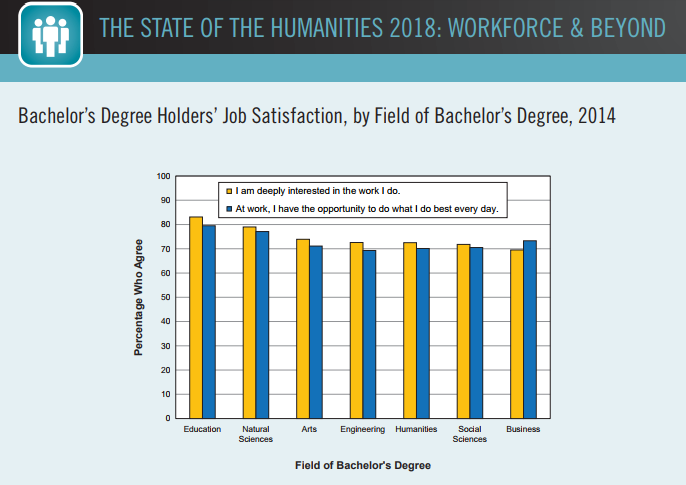 The culmination of this work was the publication of Improving Quality in American Higher Education: Learning Outcomes & Assessments for the 21st Century (Jossey Bass, 2016). More information and resources from this project are available on-line for free download at: http://highered.ssrc.org/projects/measuring-college-learning-project/. We expect between 3,500 and 4,000 in attendance. Wear comfortable shoes. The Convention Center is large and there is a lot of walking. Most people dress business casual. Be sure to talk to other conference attendees. Making connections is one of the most important things about the Annual Conference. 300 ninety-minute sessions on art making and art history topics – many have Q+A sessions at the end. You don’t need to reserve a space for a particular session, however, space may be limited in due to popularity. Use the Annual Conference App or the printed program to make your selection as to which sessions you want to attend. Select sessions in your own field, but also attend a session that interests you but you don’t know that much about. Key Conversation sessions- 12:30 to 1:30PM each day. 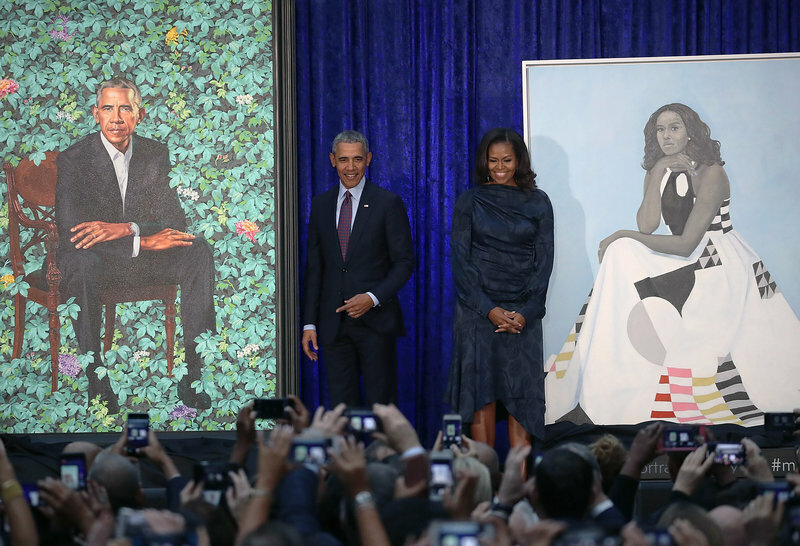 These cover more topical and current art topics. Printed programs are $10. The mobile App for phone is free. There is Wi-Fi throughout the convention center. There are many off-site events, some of which are free and some of which have a fee. Check the conference website for the list and see if they are sold out. There are professional development workshops and mentoring sessions. Check the conference website or the App for details. Be sure to check out the Media Lounge and ArtSpace, where the Annual Distinguished Artist Interviews take place. If you are a presenter, there is a Speaker Ready Room for you to prep. The CAA Annual Meeting takes place on Friday at 2:00 PM. All are welcome to attend. Other services available include a Business Center, Quiet Room, and Lactation Room. General CAA questions can be answered at the Welcome Booth in the Registration area in Concourse Foyer. Bus service will run between the hotels and the Westin, Biltmore JW Marriott and the Convention Center – mostly in the morning and end of day. Check the Shuttle Bus Schedule icon in the App for service hours. 6:00 – 7:30PM – Convocation, Awards for Distinction, and keynote speech by Charles Gaines. Reception will follow in the Registration Area. Click here to see more tips for first-time attendees.